Alaska telecommunications company GCI has filed suit against Alaska Dispatch News to evict it from its printing and warehouse operation at the old Anchorage Daily News building. GCI, which bought the East Anchorage building as part of the 2014 deal in which Dispatch publisher Alice Rogoff bought the Daily News, said in the lawsuit that Dispatch has failed to pay utilities and some of its rent at the site. The lawsuit also seeks payment of that money. The lawsuit, filed Friday in Anchorage Superior Court against Alaska Dispatch News and Rogoff, asserts that the newspaper, the state's largest, has outstayed its welcome at the GCI-owned building. Rogoff, in a prepared statement, said she has always wanted to "keep Alaska's largest newspaper alive and robust for the sake of our readers and the community." She added that she and the newspaper "are in active discussions toward that end," but didn't elaborate. In an email to staff Friday, Rogoff said, "GCI is aware that we are in discussions with potential new owners and investors." The news, advertising and circulation departments of Alaska Dispatch News operate out of a leased office in Midtown Anchorage. 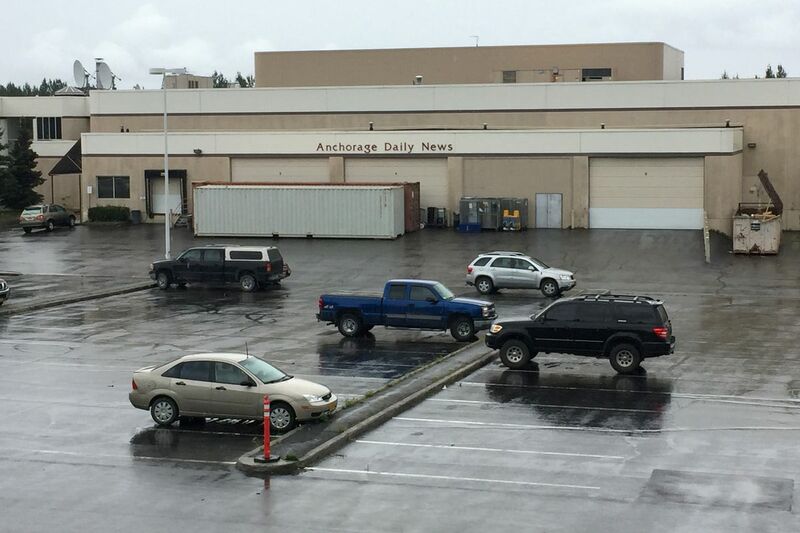 Alaska Dispatch News has leased another site on Arctic Boulevard for its printing operation and bought a used press in the Midwest, but construction at the new press site has fallen behind schedule. Rogoff said in the statement Friday that "at no point has there been any bad faith on the part of the newspaper." GCI says the news operation owes nearly $1.4 million in rent and utilities. The telecom company, which also provides internet and cable TV service around Alaska and owns Anchorage television station KTVA, is asking for damages exceeding $1 million as well as a judgment that returns the property to GCI. The suit says the newspaper failed to pay base rent in July and August this year, and has failed to pay penalty rent for continued occupancy since December, when its lease expired. "ADN's failure to vacate the warehouse space has prevented GCI and its affiliates from utilizing the property for its own purposes," the suit says. "GCI has continued to accommodate ADN's failure to vacate the premises by renegotiating leases and operating multiple disparate warehouse operations across Anchorage." GCI spokeswoman Heather Handyside said the company decided to go to court because nothing else has worked to resolve the situation. "We've exhausted all of our options to move this process forward," she said. "ADN has been in the facility since December with no lease. We have reached out multiple times in the intervening months to try to reach an agreement and that just hasn't been successful." Handyside said over the next two weeks, GCI "will continue to be open to any negotiations from the Dispatch," but that the company expects the case to go before a judge in about two weeks. GCI wants to move some warehouse and other operations to the Northway site, Handyside said, to "make us more efficient." The building on Northway used to be home to the offices of the Anchorage Daily News. That changed after Alaska Dispatch, then an online news organization, bought the newspaper from McClatchy Corp. for $34 million in 2014. The telecom company entered into a short-term lease with the newspaper, GCI said, "to allow sufficient time for ADN to install a press in a new location and complete removal of the press from the building." GCI's suit says the company was clear that it didn't want a long-term arrangement. Rogoff is also facing a lawsuit from former ADN editor Tony Hopfinger, who says Rogoff failed to pay money he says he is owed. That case is scheduled to go to trial in March.